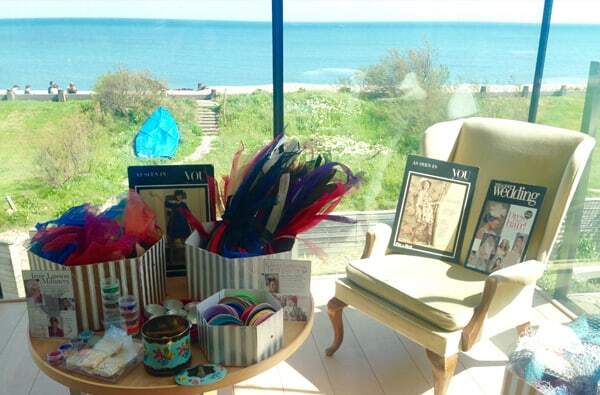 Sarah wanted a beach-side hen party location for her best friend’s hen party weekend. Sarah organised a hen party for her friends in Beach End Road in Selsey, near Chichester. Their hen party accommodation for the weekend was a gorgeous. A sea-front, architectural glass-structured house, two steps from the ocean with an amazing beach view. 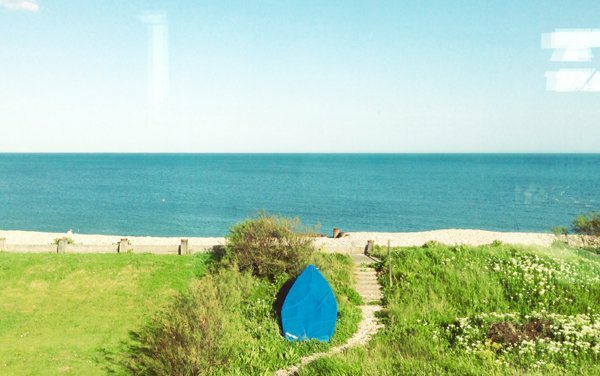 In terms of a beach-side hen party location you couldn’t get a better view than this! 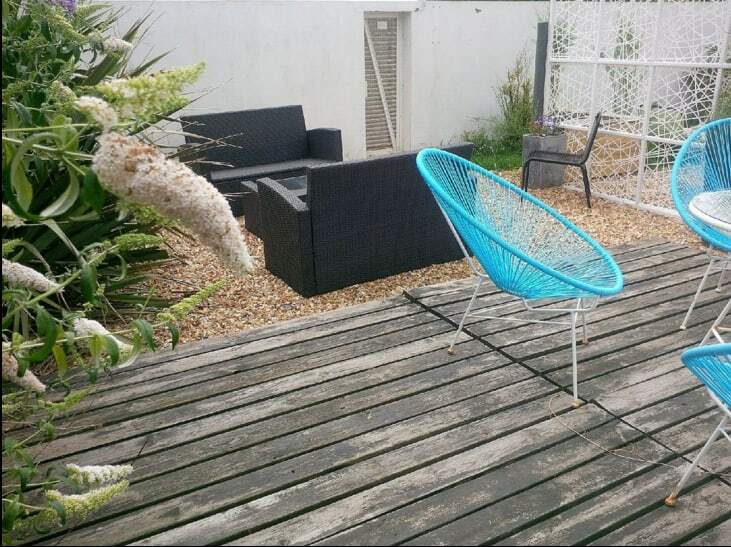 Little Tides Reach is apartment is an extended part a 1960s detached contemporary beach front property. It is located at the foreshore of the private end of East Beach Road in Selsey. 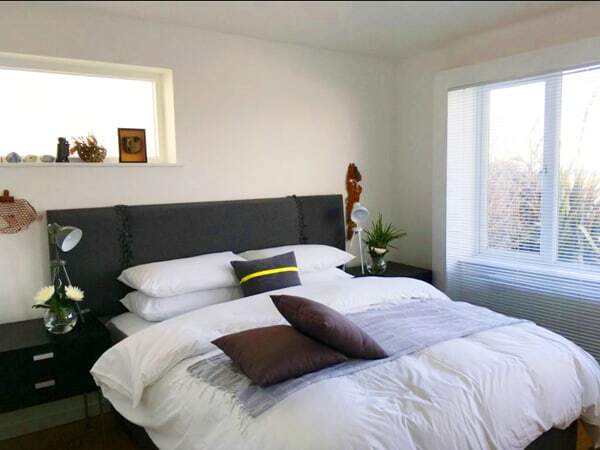 The private part of the dwelling has been turned into a boutique modern compact 2 bed apartment. 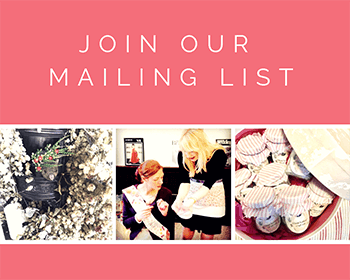 A great spot for a relaxing hen party location. 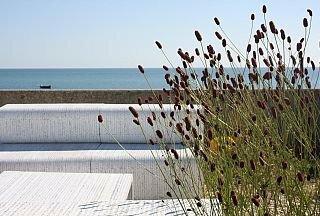 Take a look at the lovely private garden area which has a selection of contemporary outdoor furniture. This calm, quite garden is the ideal place for a glass (or two) of Prosecco. The only noise is the sound of the waves crashing and your friends cackling! Follow a short walk to the local fishing huts in Selsey to sample locally caught lobster and crab. For keen divers Selsey has a PADI 5 star IDC National Geographic centre and offer try dives. They provide training in small groups at all levels from PADI Open Water to Professional Level. Take scenic walks along the water’s edge, with Pagham Harbour (SSSI), a haven for bird life. You could even incorporate a relaxing weekend with Glorious Goodwood Festival. How about a morning practicing yoga on the beach? That’s what Sarah and her friends did. If you can do yoga on the beach you really are at a fantastic hen party location. I believe it’s the prefect start to a hen party weekend. Every hen party should start with yoga. That way you won’t fell so bad when at 3 o’clock in the morning your best friend is holding your hair back for you! To try yoga on the beach contact The Yoga Hub. Glam Hatter Girls Astri and Amanda set up their fascinator making class at the dining table which had this fantastic view (below). The ladies were tremendous and they all had so much fun chatting together while stitching. 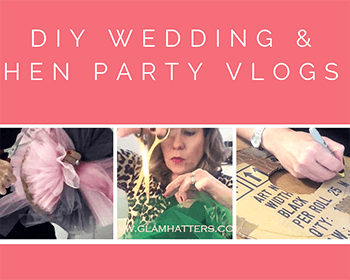 They followed step-by-step instructions provided by The Glam Hatter Girls and each hen made a gorgeous fascinator to wear to the wedding. 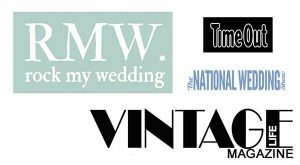 As the Glam Hatters’ creator I am always so proud to see the pictures of all the hen parties we run across the country. The Glam Hatter Girls love running these parties and that really comes through in these pictures. Well done guys, what a super creative hen party. To find a property similar to this for your ideal hen party location check out Owners Direct. Jam packed with awesome properties and as you are dealing direct with the owners you get the best prices. To get the inside track take a look at the reviews of the accommodation. They double up as giving handy tips and advice as well as reviewing the houses. 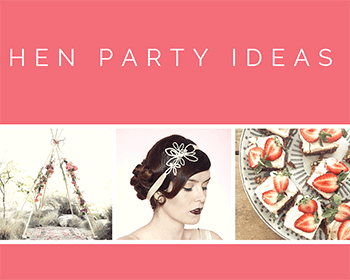 Do share this post with your friends who are planning a hen party. 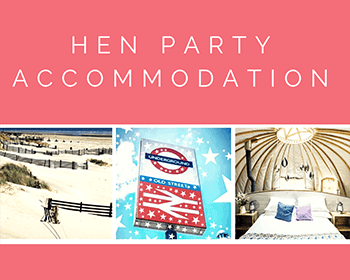 It is super useful for finding a beach-side hen party location. 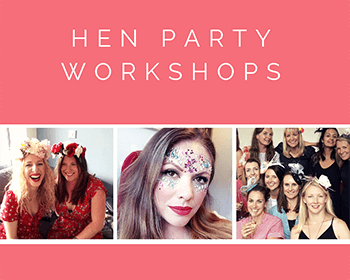 And don’t forget The Glam Hatters’ can host a workshop for your hen party in all the hen houses on our site or book in to one of our cool London, Oxford or Cardiff venues. 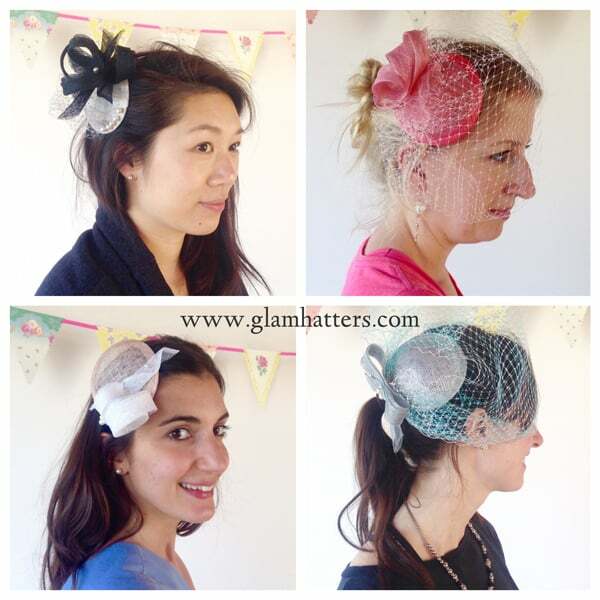 For more Glam Hatters’ Hen Party Workshop click here. 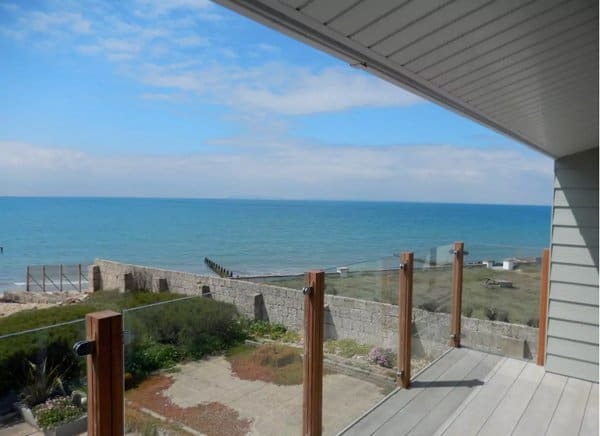 To stay in a beach front house in Selsey check out Little Tides Reach on Owners Direct here.